So it’s Recruitment Week again in Ateneo! …In other words, my news feed is a flood of promo blasts and profile pictures all of which make me nostalgic about how much I loved org life. Honestly, orgs made my college experience ten times more memorable, and this whole post is a tribute to that. RECWEEK 2014. Throwback to when my life revolved around these three orgs on top of acads, but I loved every minute of it. For non-Ateneans, let me explain: orgs are a big thing for us because they allow us to pursue interests outside of academics, meet friends and most of all, have fun. 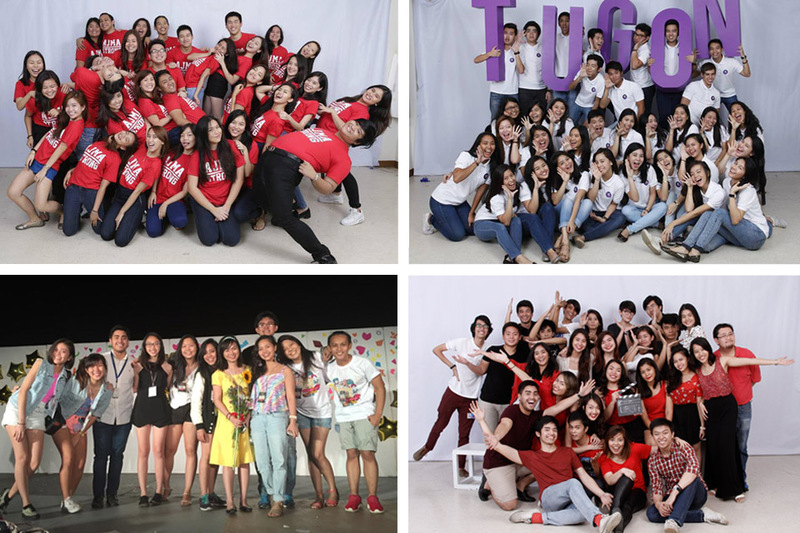 They’re made up of people passionate about a cluster of interests including the performing arts, social advocacies, business, and much more. In Ateneo, there are 52 accredited orgs to choose from, and countless unaccredited groups you can join. 1. GROWTH: Orgs expand your world and your skills set. As a freshman I didn’t know what orgs I wanted to join, so being me I joined five. Haha! From these, I only stayed active in AJMA, my home org for four years. 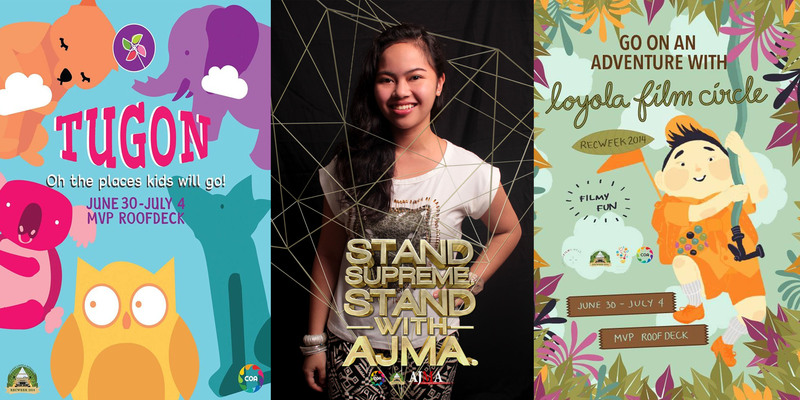 I never expected to get into marketing, but because of AJMA, I fell into something I both enjoyed and excelled at. I discovered that I liked handling events and promotions and working with people who make things happen. Over the years, I worked in projects with great people I never would’ve met otherwise. My point is, joining an org gets you out of your comfort zone. It can seem scary at first, but learning new things and meeting new people pushes you to grow in a good way. SHINDIG 2015. With my Communications Dept. family celebrating the end of our term and 4 years as AJMAns. 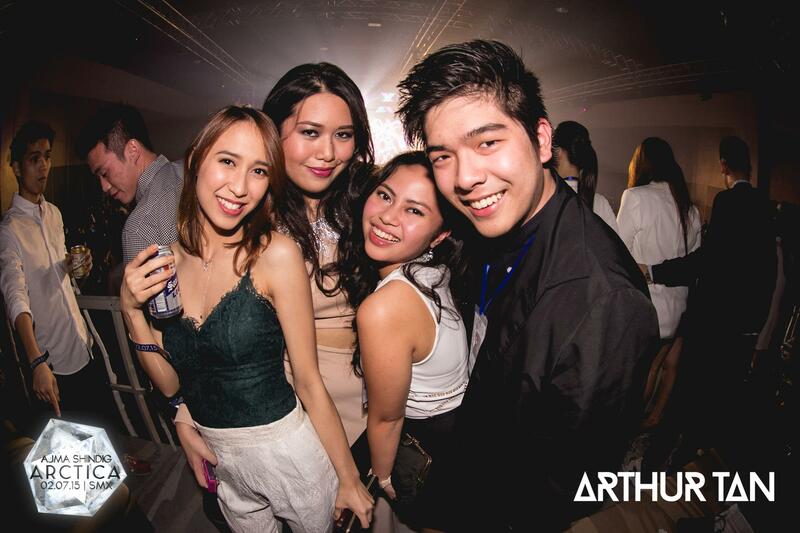 (Missing in photo: Alyssa huhu) Photo by Arthur Tan. 2. FAMILY: Orgs give you a community with whom you can explore shared interests. In junior year, my best friend Trish signed me up for The Loyola Film Circle and it was one of my favorite plot twists in college. I’ve always enjoyed movies, but meeting people passionate about all things film—including producing and critiquing them—made me appreciate this art by tenfold. Enthusiasm is contagious! Joining a group brought together by sheer enthusiasm is totally life-enhancing and this is exactly what I found in LFC. One of the things I miss most is hanging out in the org room, just watching movies and having fun. While I’m by no means the most “filmy” person (to be honest, rom coms are my favorite genre), being surrounded by passionate people fostered my creativity and inspired me to contribute my talents in whatever way I could. 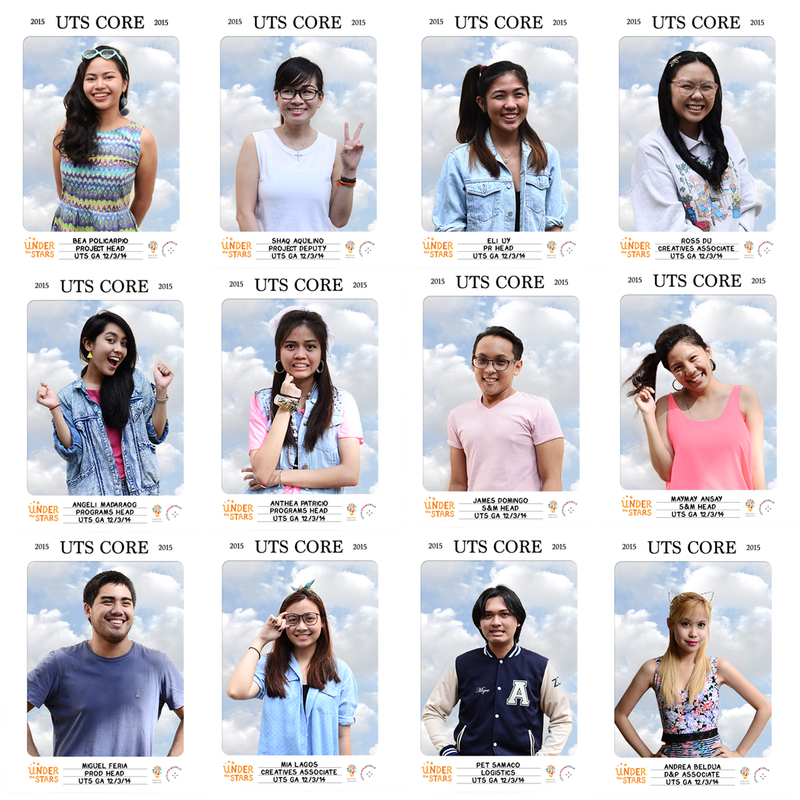 UNDER THE STARS 2015 CORE TEAM. As a senior, I headed one of LFC’s flagship projects, an outdoor nighttime film screening and variety show event. I loved this project especially because chick flick “13 Going on 30” was our theme! Posters by Andrea Beldua, Ross Du & Mia Lagos. 3. MEANING: Orgs increase your sense of purpose. However, among my most meaningful experiences were with my sector-based org, TUGON Ateneo. Our advocacy is to be at the forefront towards a country free from child sexual abuse and abandonment. For 30 years, we’ve helped abused and abandoned girls and babies through area visits and awareness projects. Joining TUGON in junior year, I felt the difference because we weren’t brought together by a common hobby, but a specific cause to fight for. As area head for Concordia Children’s Services, I organized daily trips for Tugoners to visit orphaned babies and also led visits every Monday. These area visits were the highlight of my every week and gave me something to look forward to, even if it meant extra sacrifices and going out of my way for a worthwhile cause. NCSAAW 2014. In junior year, I headed TUGON’s flagship project: the National Child Sexual Abuse Awareness Week. 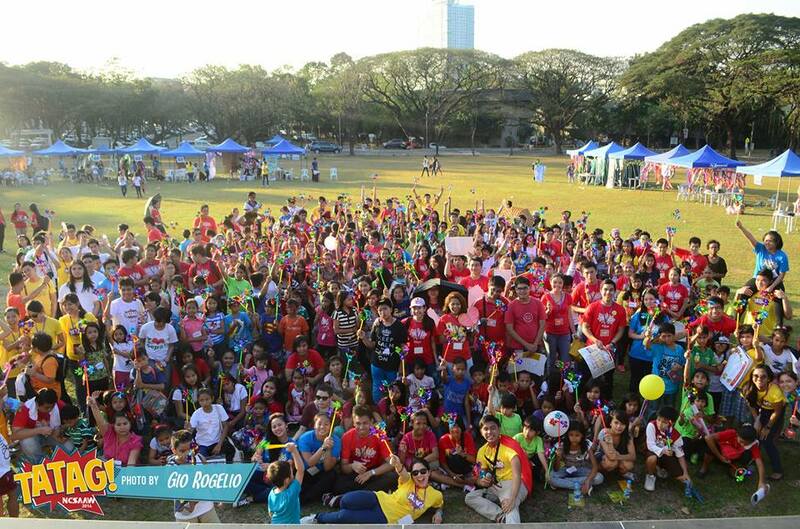 This was photo was taken during culminating day, where we invited 300 kids for a day of fun and education. Photo by Gio Rogelio. On top of schoolwork and other commitments, actively being there for an org can (and will) get stressful but ultimately, it’s worth it. The secret to a fulfilling org life is to always remember your “why”—the greater reason why you’re investing yourself in these activities. ORG LIFE OVER THE YEARS. Different projects give you something more to look forward to than just school/work. So take a chance and join an org. Or two. Or three. Each org is different but no matter where you end up, an org gives you new reasons to jump out of bed in the morning: new experiences, a renewed sense of purpose, and an amazing group of people to call home! You can learn more about the Ateneo Junior Marketing Association’s projects here. Learn more about TUGON Ateneo’s advocacy here. Watch the Loyola Film Circle’s films here and check out the Under the Stars event page here. Read about all the other 52 orgs of Ateneo here and COA RecWeek 2015’s press release here.